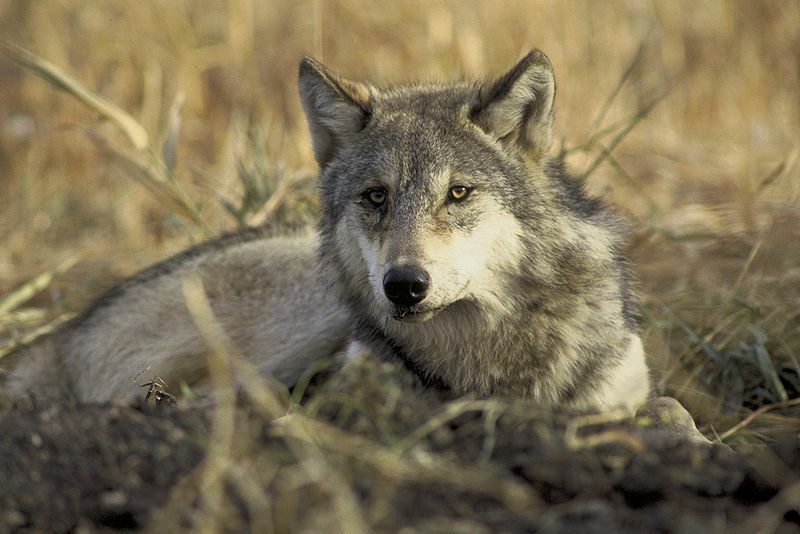 How smart exactly are wolves? As some readers will know, I posted yesterday on one archaeologist’s investigation of the shadowy origins of dogs, and that led me into a short discussion of wolf behavior. Today, I’d like to share a great wolf anecdote I heard while attending a recent talk in Vancouver given by acclaimed environmental writer Andrew Nikiforuk (an old friend of mine) and conservationist Ian McAllister. While this post strays a little from the customary terrain of this blog–archaeology and history–I hope that you will bear with me. McAllister has been studying the wolf populations that roam the northern British Columbia coast. Superbly adapted to coastal living, these wolves have devised rather novel ways of hunting. Instead of stalking primarily big game such as deer, these canines have developed a huge appetite for seafood. One of their favorite prey is salmon. During the great salmon runs, McAllister noted, he has spied dozens of dead salmon at a time lying on the banks of salmon streams–the result of one night’s hunting. The wolves capture the fish, carry them ashore and then neatly, almost surgically, decapitate them, eating only the fat-rich head. To prove his point, McAllister showed a photo he had taken of one such kill site, littered with the headless bodies of salmon. I found it utterly fascinating. Below you will find a short YouTube video of a wolf hunting a salmon.